I remember being at the tender age of... nine? Let's say nine. The world was my proverbial oyster. It was so full of possibilities. Which is why I guess I spent so much time in front of the Nintendo. 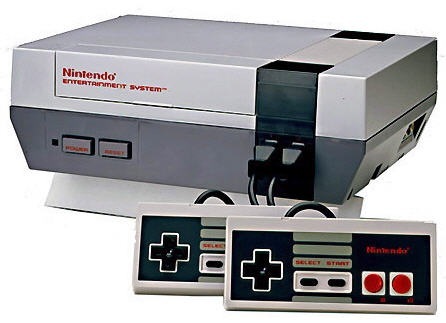 You remember it: two toned gray box with the big game cartridges you'd slide in and press down. One problem: it didn't always work. Maybe it was worn out. Maybe our games were dusty. Either way, you'd press the power button and the TV screen would flash on and off, or freeze at a dull shade of gray. Cue my childhood. I often took the opportunity to patiently sit in front of the Nintendo and blow on everything. Why? Because it worked. I had no actual proof as to how, but when I'd do it, the Nintendo would magically start working again. I can only now surmise that there was indeed some dust in the machine or game cartridges, and that my blowing into them somehow jostled everything into submission. 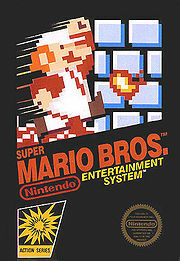 I remember one night I sat down to play the original Super Mario Bros. The game had previously been sentenced by our home's eldest Nintendo players as a hopeless case. Still, I spent at least 30 minutes using every trick I had to get that thing to work. I put the game under my shirt and blew air through the fabric; I blew into the game box first; I blew into game box last; I tried to sneak the game in without the Nintendo noticing. Finally, on one serendipitous attempt, I pressed the power button, and "Voila!" it worked! With a celebratory scream I threw my arms into the air. I darted up the stairs from our basement, ran to my Mom in the living room and impulsively blurted out, "I WANT TO FIX THINGS FOR A LIVING!!" I'm pretty sure my Mom had no idea what I was talking about. I had no idea what I was talking about! But I did know I had just experienced the kind of feeling I wanted to have every day for the rest of my life. Did I actually want to fix Nintendo games for a living? Yeah right- But I did want that feeling again. That rush of accomplishment. The payoff of not giving up. It was unlike anything I had ever felt. Which is why, as an adult, I try to remember that night as often as possible. Do we continue make room for that kind of joy in our lives? Not just in finding the right tasks or careers to inspire it, but also in allowing ourselves to feel it regardless of the accomplishment. If joy can manifest itself to a child in something as silly as a Nintendo game, then certainly anything we set our minds to can have the same effect: taking the kids to soccer, washing the car, telling someone "I love you." Or are we simply too grown up to go there? I hope not. Our joy isn't in another castle. It's already here, just waiting to be played. Boys and their Nintendo games. PS I know that there are, like, a hundred(ish) different gaming systems. I grew up with four brothers, so you'd think I could keep at least SOME of them straight. Alas...they're all "Nintendo" to me (and it bugs the heck out of lots of fellas I know, actually). FYI - We still have the "Nintendo" system and would still be trying to play it if we could find the 2nd controller and the Mario Bros. game cartridge--I never did figure out how to consistently drive the right direction around the track :) Thanks for the reminder of the payoff to not give up - Incredible post! !